Great for mixing pre or post workout drinks. 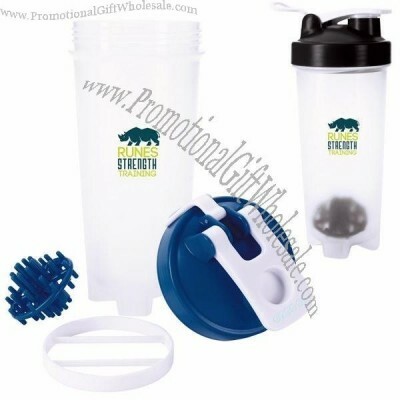 Includes carry loop, shaker ball and shaker grate. Large opening for easy drinking. 30 oz. capacity when filled to the rim.